Wally Webb's BIG BLOG! : The Polo Neck Early Show ! So What Will You Find Here ?? THIS WEBSITE CONTAINS MANY PHOTO'S, VIDEO'S AND WRITE-UPS ON A RANGE OF SUBJECTS. DON'T MISS OUT BY NOT EXPLORING FURTHER. IF YOU WANT TO SEE A PARTICULAR SUBJECT OR PERSON, GO TO THE SEARCH ENTRY ON THE RIGHT AND TYPE IN YOUR SEARCH NAMES/TITLES. THE PAGES WILL COME UP ON THIS (LEFT) SIDE BELOW. Scroll down them to view. Who's this BLOG about? What a good question. After many years in the Royal Air Force and a posting to RAF Coltishall Wally also created the Solarscope mobile disco's with gigs as far as Manchester. He was resident DJ at Scamps Nightclub in Norwich during the 70's and had a show on Hospital Radio Norwich. 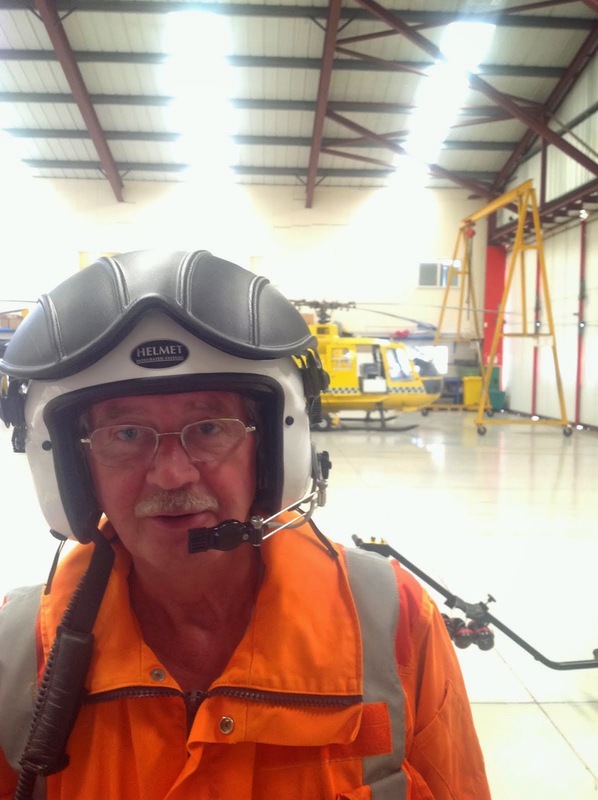 Wally joined BBC Radio Norfolk when it began broadcasting on September 11th 1980 and has been there ever since. 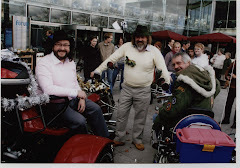 He's Patron of the East Coast Truckers Childrens Charity and President of the Potter Heigham Country Fayre Fundraisers. 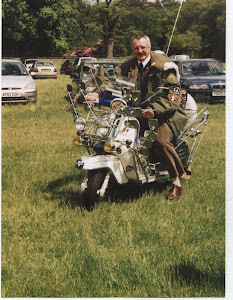 He rides a 1966 Lambretta 125 Special and spends a lot of time cruising on the Norfolk Broads. 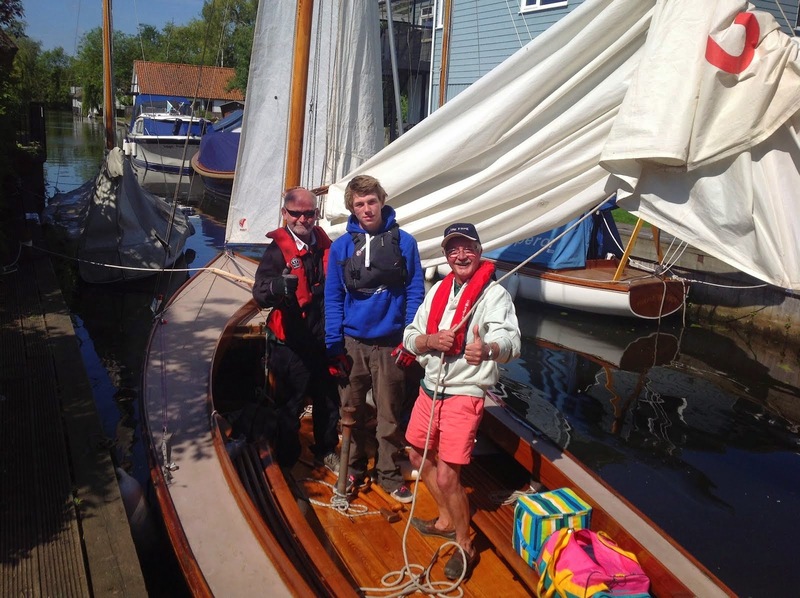 He's an Ambassador for the Wherry Albion of the Norfolk Wherry Trust, a Friend of Hardley Windpump and a volunteer litter picker for his home community and a videographer for the East Anglian Air Ambulance. Apart from serving in the Royal Air Force he's also a founder member of the East Norfolk Militia from which he's now retired and served four years as a Governor of Thorpe St.Andrew High School. 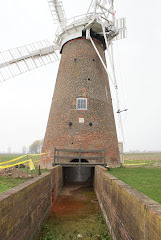 This Blog will keep you up to date on all these activities or you can go to his sister Blog to concentrate on the Norfolk Broads. All views and opinions that may be expressed are those of the author and not of the BBC. TO SEND ME AN E-MAIL NOW CLICK ON THIS ADDRESS wally.webb@bbc.co.uk OR - send a message to Wally Webb on Facebook HERE'S THE LATEST NEWS FOR WALLY'S BLOG. ALL ANSWERS from Eastern Counties Early Breakfast Show NOW POSTED DAILY ON FACEBOOK. Become a Friend? FOR MORE INFORMATON ABOUT THIS BLOG PLEASE SCROLL DOWN TO BOTTOM OF THE PAGE. The Polo Neck Early Show ! For some time now there's been a running gag on the Early Regional Show about the fact that I wear roll neck or polo shirts as some people call them. Derided by Josephine from Monterey she's admitted defeat and bought some for husband Mad Mick. Hurrah for the boys and common sense. When the weather gets as cold as today you've gotta keep your neck warm! Welcome To Wally's World ! This is the personal BLOG of Wally Webb. Some years ago there was much speculation that he'd been part of the inspiration behind Steve Coogans character of Alan Partridge. (see associated links below). 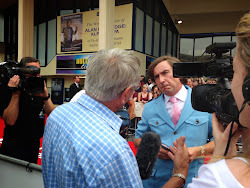 That's why BBC 6-o-clock News interviewed Wally at the Premier of Papa Alpha when Wally filmed with "Alan" for the BBC website. Unlike Partridge, Wally is still on air regularly for the BBC. Based at the BBC East studios at the Forum in Norwich he broadcasts Monday to Friday. From 4am to 6am. The Show is regional and includes the BBC Stations of Norfolk, Suffolk, Essex, Cambridgeshire, Northamptonshire and 3CR for Bedfordshire, Hertfordshire and Buckinghamshire and then from 6am it's just Norfolk. To join in you can phone 0845 30 50 007, text 813-33 starting your message with the word - WALLY. or e-mail from the link top left. 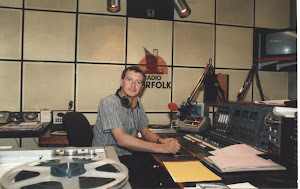 Wally has worked for BBC Radio Norfolk since the Station first opened in September 1980. In that time he's hosted many different Shows but has always enjoyed getting up early. 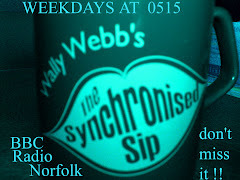 After 0630 Wally then takes the Radio Car across Norfolk to report on anything of interest to the listeners of Breakfast With Nicky Price (6.30 -9am). Check out the Radio Car by going to the Video Library. This site contains numerous video's of Wally's different activities and interests (see Video Library link below) as well as features from his Shows. If you would like to see something appear on this site, e-mail your request to Wally and it may well appear on this BLOG. Enjoy your visit and do come back regularly to keep up with Wally. Henry Winkler a thoroughly nice guy! Noel flew in for the last air show at RAF Swanton Morley which has since become Robertson Barracks, the home of the Light Dragoons. 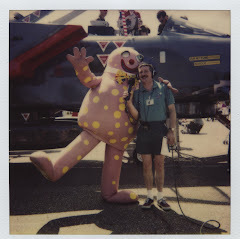 Wally Webb the first to interview Mr.Blobby live! Taken at the same time as the other pic of Wally and Noel when Noel's House Party was at its peak. Until then no-one had actually approached Mr.B but Wally dared and won! You really don't want to know about his personal hygene though !! The "Hairies" made a Christmas special which involved Wally's "Partridge" in a pear tree! 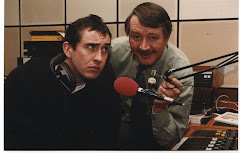 Here's the real Alan Partridge Steve Coogan when he met 'the real' Alan Partridge! Even though it was summer I had to wear the parka at a show in Hoveton. It's a Lambretta 125 Special built in World Cup year 1966 although the chromework is more recent! Here's one I played with earlier! Born in Manchester. Joined RAF 1969 - 1980. 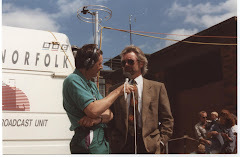 Joined BBC 1980 as part of original team to open BBC Radio Norfolk. Fudge is our Cocker cross Cavalier King Charles Spaniel who wants everything at anytime and doesn't care where it comes from as long as it ends up in her tummy. Hobbies - eating and cruising! Wii GOLF to improve your game. Wally Webb, BBC Radio, The Forum, Norwich NR2 1BH.